So, you want to start a blog. That’s fantastic! Blogs are a rewarding place to share your ideas and connect with people. However, you may be overwhelmed by the sheer idea of having to figure out how to set up a blog. Well, today I’m going to make it really easy for you. We’re talking about how to set up your blog in an extremely broken down and easy way! So, don’t worry if you’re new to the whole blogging scene. I’ll have you started down the successful blogging road in no time! 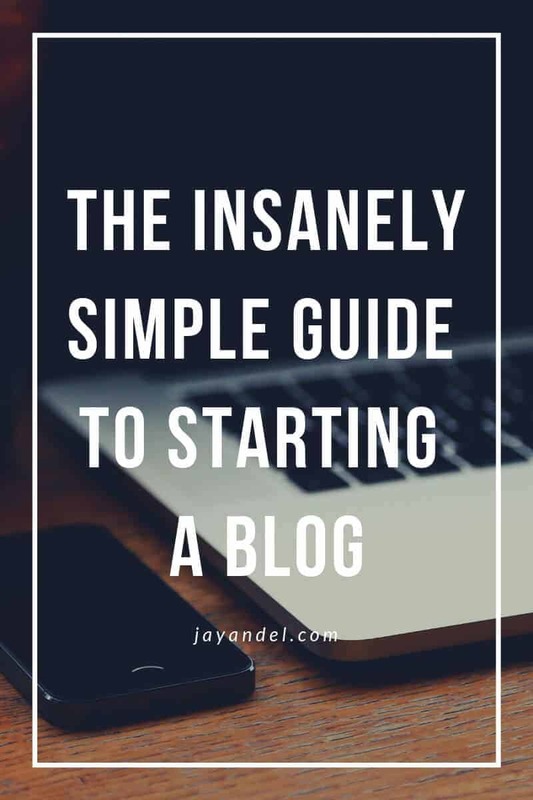 So, here’s my insanely simple guide to starting a blog. 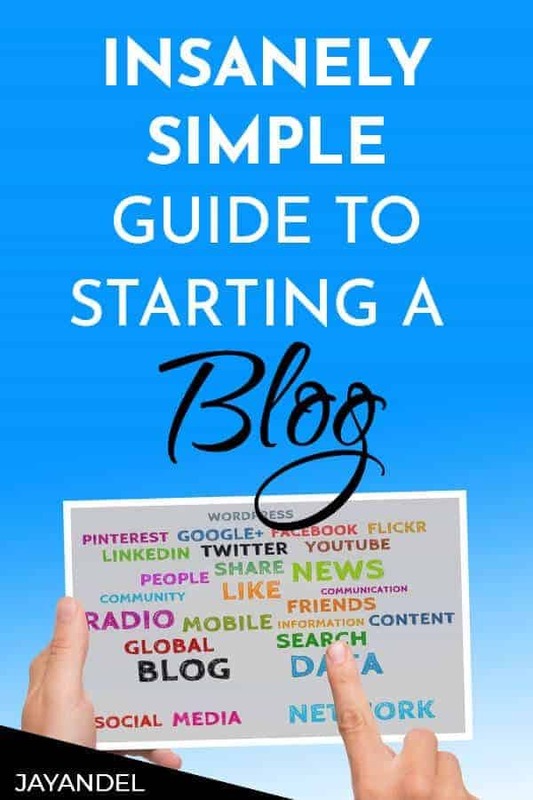 If you’ are ready to get started now with your own epic blogging journey! I created a step-by-step tutorial to help you get started for under $4 a month. A lifestyle blog is great because you can write about almost anything you can think of. You’ll have more options, and you won’t run out of things to blog about, all while making money in the process. If you are blogging to make money (and I am pretty sure most of you are), you need to write about what people want to read. You need to help people by SOLVING PROBLEMS. This is why I think lifestyle blogs are great: you can write about lots of topics, helping people solving problems and test out different niches that you love. And, it’s the perfect way for new bloggers to find their voice and their strengths as they grow and learn about blogging. Not to mention, if you write on topics you care and are passionate about then you’ll have a much easier time creating awesome content that people will want to read. Picking a name is no easy feat. You want to pick something that is catchy and easy to remember. The name of your blog also needs to reflect your brand. Some people choose to use their own name as their domain name, and it is entirely acceptable to brand yourself. Others tend to go with more creative blog names. Let’s cut to the chase. If you’re blogging, I recommend you be on WordPress. WordPress is easy to use, has all the tools you need, and also gives you some free or cheap theme options. It’s really the place you want to be if you’re first starting a blog, and you’ll be glad you chose this platform later on when you’re looking for some analytics for your blog. WordPress gives you the option of installing plugins when you’re using their platform for your blog writing. Some plugins do cost a little money to use, but they are something you really want to invest in when you are starting your blog. Otherwise, it will be a lot more difficult to be successful. Look into Yoast SEO if you’re looking for some good searching engine optimization tools. If you’re going to start a blog, you need to be consistent in delivering quality content. You need to think about why your readers are coming back and why they might be staying away. If you don’t dazzle them with your blog right away, they will likely never come back. You need to choose something that you’re passionate about and write content you think your readers will love. Be genuine and don’t sugar coat things. People want to hear what you really think. Now, are you ready to start your own epic blogging journey yet? There’s really no time like the present! Follow this step-by-step tutorial to help you get started for under $4 a month.